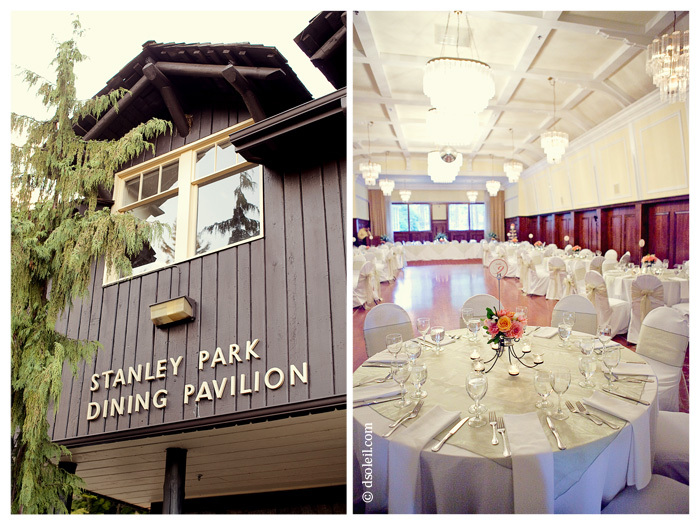 The Stanley Park Pavilion is a charming rustic Vancouver wedding venue situated a short distance away from Stanely Park‘s Georgia Street entrance. Just steps away from the Rose Garden, it offers an outdoor venue for your ceremony and an indoor venue for your wedding dinner reception. In the summer months, the area outside the Pavilion is often crawling with visitors and nearby parking lots can be jammed packed if there are entertainment events happening nearby (such as the Theater Under the Stars at Malkin Bowl). If you don’t mind the occasional crowds, Stanley Park Pavilion can a great place to celebrate your wedding in a single location that has it all! 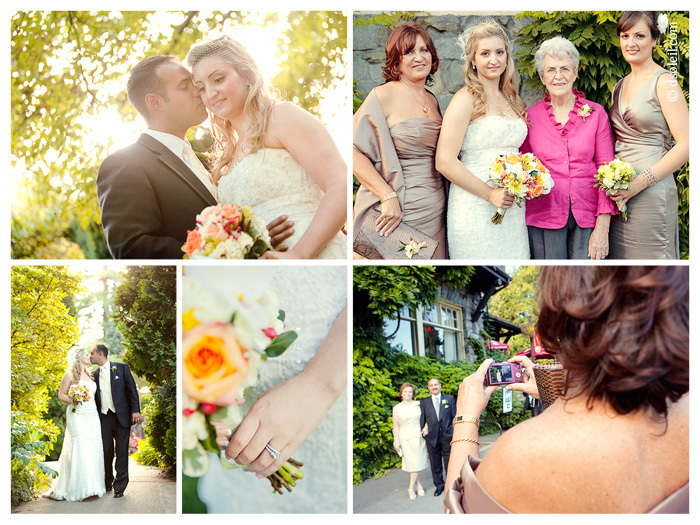 Being situated in Stanley Park, opportunities to create gorgeous photos with your wedding photographer are abundant. No need to go far – just a short walk away and you’ve got everything from lush forests to tranquil gardens to beaches and sand. 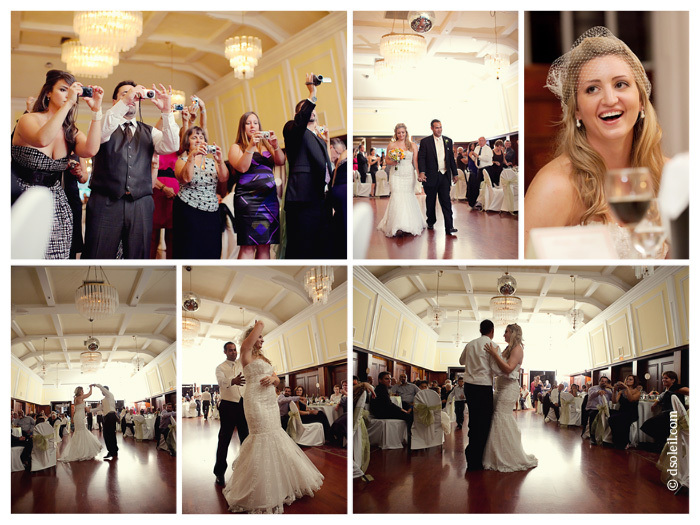 Sabrina and Derek celebrated their wedding dinner reception at the Stanley Park Pavilion this past summer. We spent some time taking photos with family and friends in front of the pavilion before heading out for a photo stroll through the park. The only problem we encountered was having to choose from the many nearby locations to visit for photos. If you’re having your wedding at the Pavilion, make sure you communicate with your wedding photographer that locations you’d like to visit. Stanley Park is a huge place and if you don’t plan ahead, you might just be overwhelmed by all the scenic locations available to you. The Pavilion provided parking passes for all of Sabrina and Derek’s guests, but finding a parking spot nearby was a bit of a challenge because an event was happening the same night at Malkin Bowl. Nonetheless, all their guests managed to find a spot and the reception turned out perfectly. There were a number of touching speeches, but Sabrina’s speech was the best! After dinner, the danced, drank, partied, and ate some more late into the evening of this Portuguese/Croatian wedding!